Finely crafted in the USA from the highest quality high density fiberboard (HDF). Laser cutting process seals pores of HDF, allowing a superior smooth finish once painted. 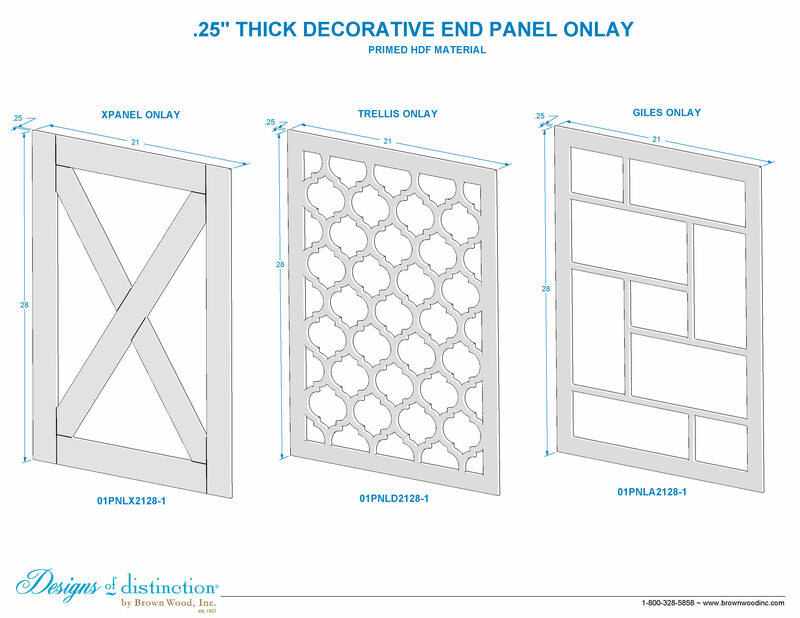 Dress up the end of your vanity or cabinets using our decorative HDF End Panel Onlays. Laser cut from High Density Fiberboard, our End Panel Onlays can be easily applied to the end of standard vanities and cabinets to enhance or completely change the style of your room. Raw HDF requires priming before painting. Shop more of this look in the Morrocan Collection.